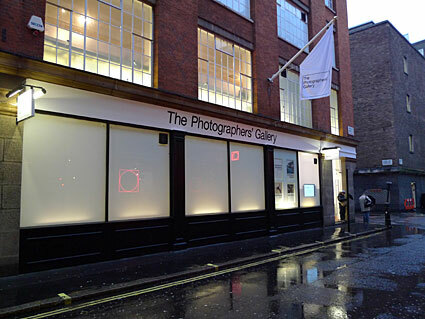 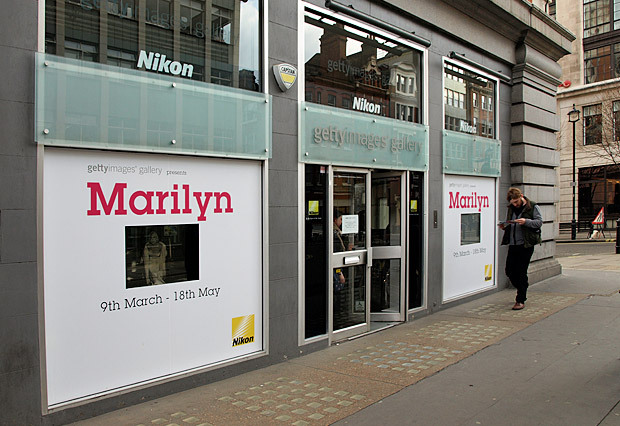 A fantastic new exhibition showing off a collection of well-known and rare archive photos of Marilyn Monroe is currently running at the Getty Image Gallery near Oxford Circus, central London. 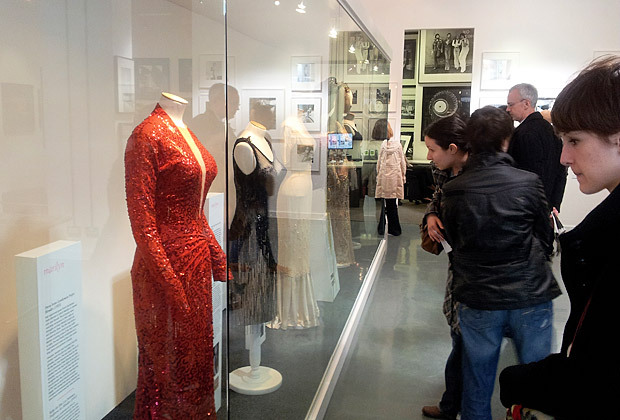 Coinciding with the 50th anniversary of Monroe’s death, the free exhibition also includes rare video footage and a selection of some of her most famous outfits. 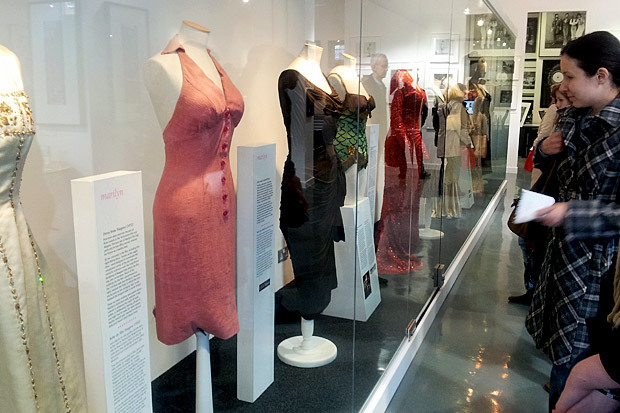 It’s quite a funny feeling getting so close some of Marilyn’s most iconic dresses: this saucy number is from Bus Stop (1956) – see film still below [Photo: wikipedia]. 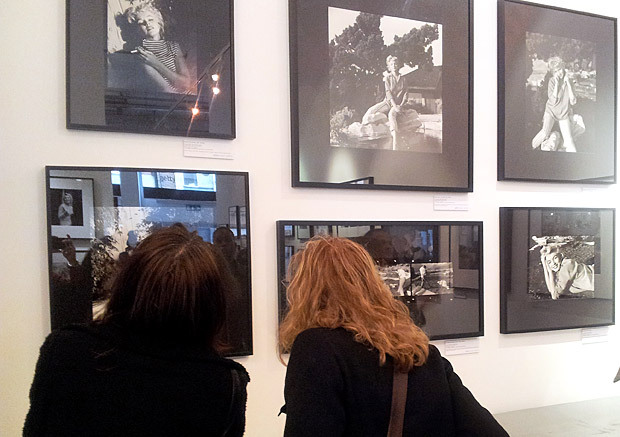 There’s some wonderful photos on display. 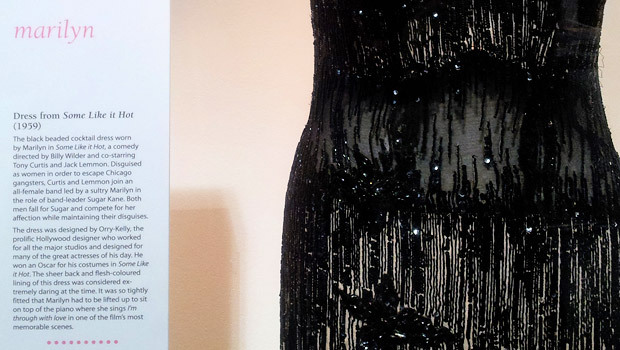 This black beaded cocktail dress is easily one of Marilyn’s most famous outfits, and was worn in Some Like It Hot (1959). 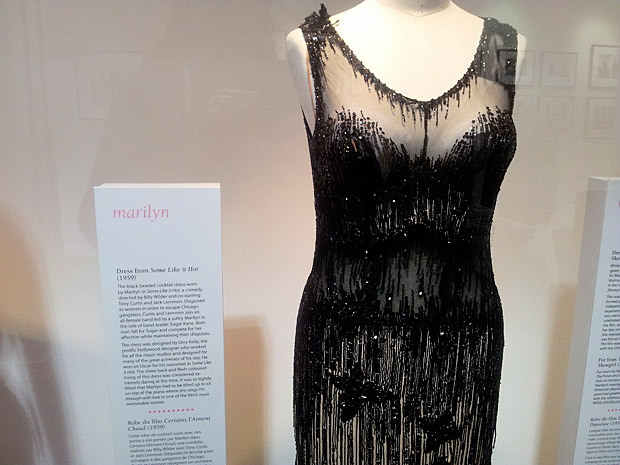 Created by Hollywood designer Orry-Kerry, the dress was so tightly fitting that Marilyn had to be lifted up to sit on top of the piano to sing, “I’m through with love” in the film. 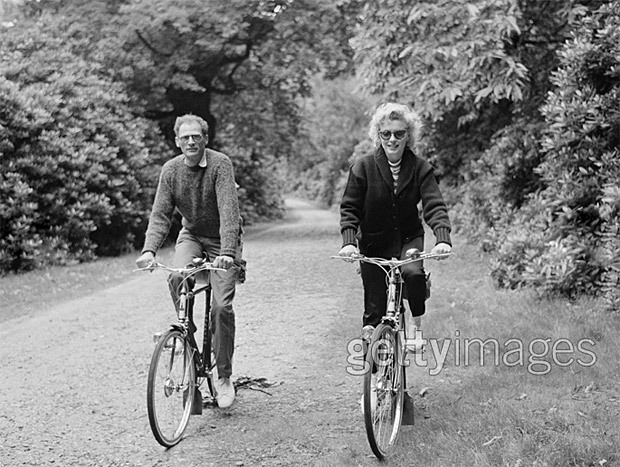 One of my favourite photos from the show is this candid snap of Marilyn and Arthur Miller riding bikes. 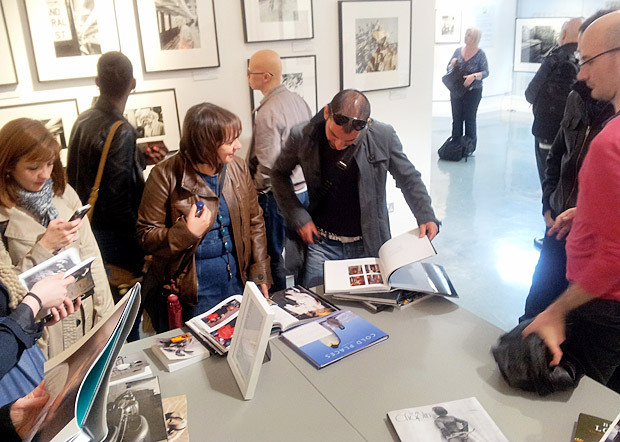 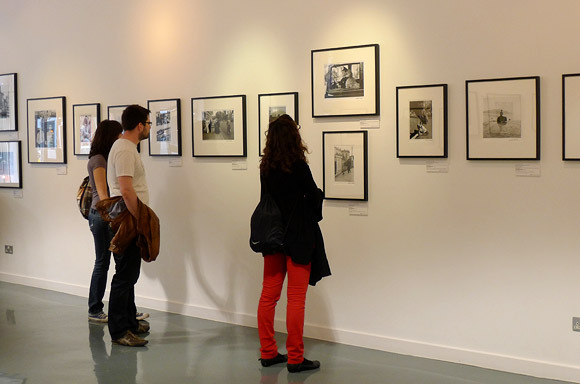 Exhibition runs until the 23rd May 2012.